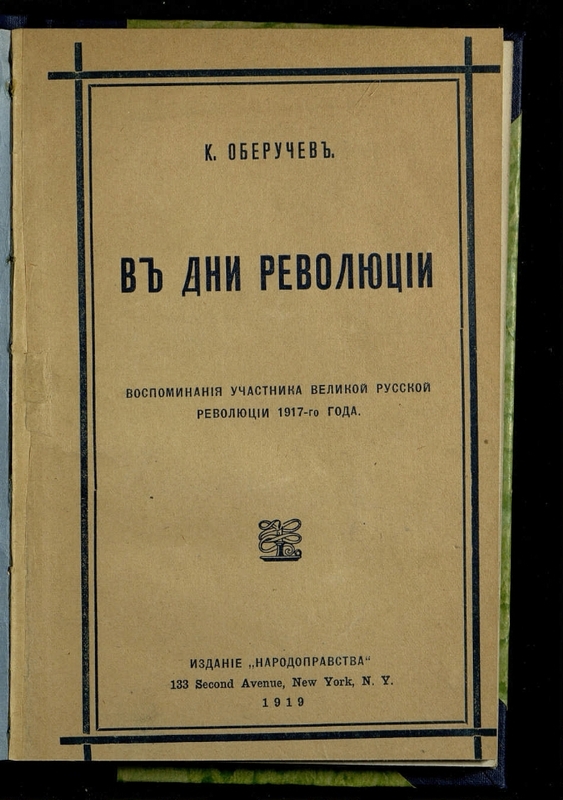 In the days of the revolution: memoirs of a participant in the Great Russian Revolution of 1917 / K. Oberuchev. 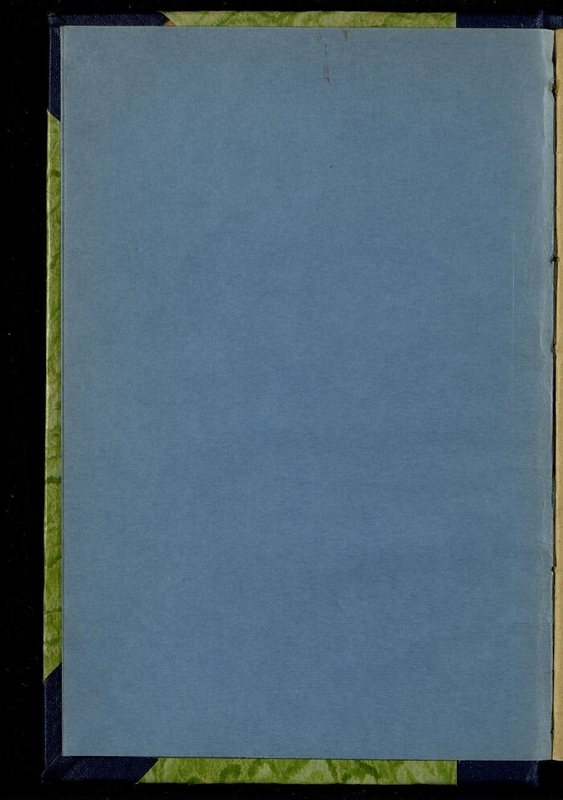 - New York: The edition of "Narodopravstva", 1919. -143 p. ; 23 cm. - . 1. Power (collection). 2. The people (the collection). 3. 1917: February-October (collection). 4. 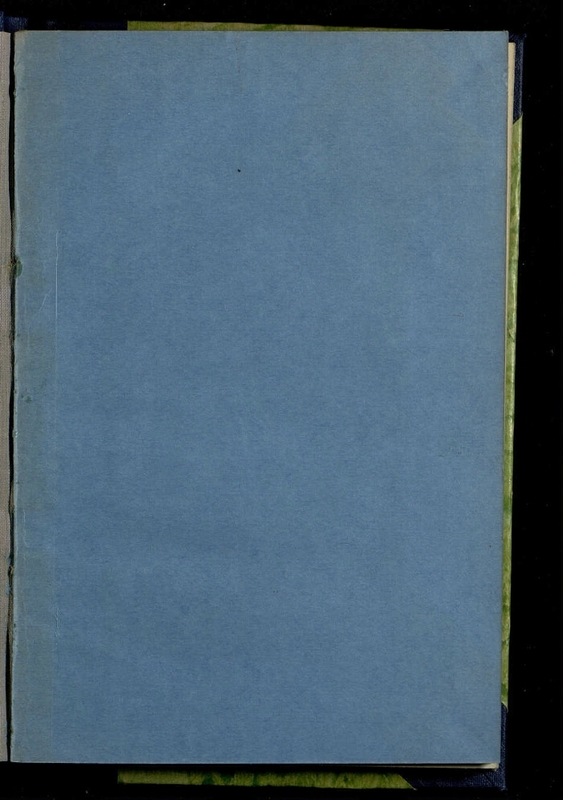 February bourgeois-democratic revolution - 1917 - Memoirs, notes, etc. 5. The Great October Socialist Revolution - 1917 - Memoirs, notes, etc. 6. 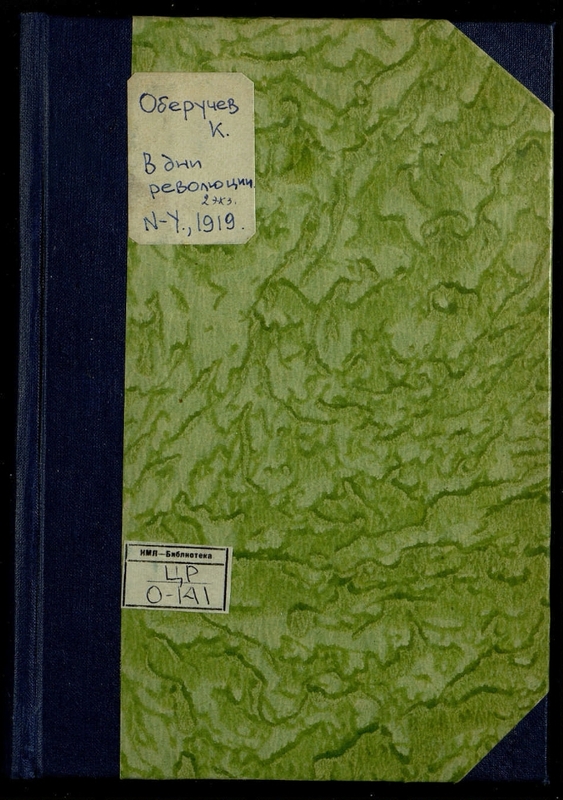 Russia - History - 1917 - Memoirs, notes, etc. ..